The Washington Free Beacon, funded by GOP mega-donor Paul Singer, was the original funder of Fusion GPS’ research project that attempted to dig up dirt on then-candidate Donald Trump — a project that would later be funded by the Democratic National Committee and Hillary Clinton’s campaign. The Washington Examiner first reported Friday that lawyers for the Free Beacon — a conservative outlet based in the nation’s capital — funded the project from fall 2015 to spring 2016, when it pulled its funding as Trump looked set to clinch the nomination. Since its launch in February of 2012, the Washington Free Beacon has retained third party firms to conduct research on many individuals and institutions of interest to us and our readers. In that capacity, during the 2016 election cycle we retained Fusion GPS to provide research on multiple candidates in the Republican presidential primary, just as we retained other firms to assist in our research into Hillary Clinton. After the Democrats took over funding of the operation in mid-2016, Fusion GPS would hire former British spy Christopher Steele and would lead to the production of the so-called “Trump dossier,” filled with salacious but unconfirmed claims about how Trump was compromised by the Russians. Fusion has come under scrutiny for its alleged ties to Russia, including the fact that many of the claims originate from Kremlin sources — meaning that the information came from inside the Russian government. Yet, the revelation is likely to fuel questions about the role the so-called “Never Trump” movement played in an effort that would eventually inflict damage on President Trump, and that was possibly part of a Russian misinformation scheme. 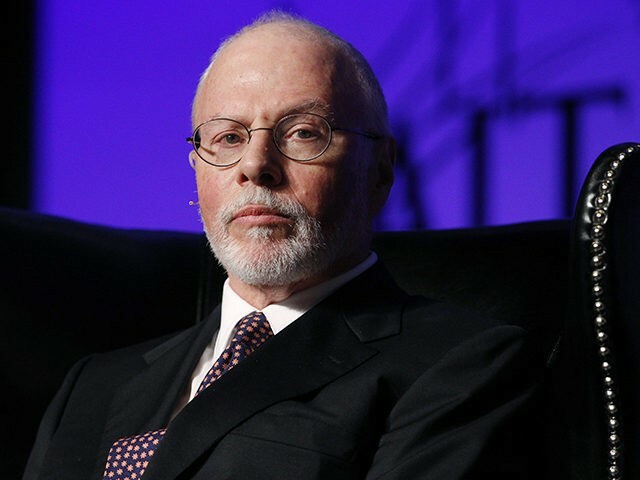 The Free Beacon is funded in large part by the New York hedge fund billionaire and major GOP donor Paul Singer. The New York Times reports that Singer initially supported Sen. Marco Rubio (R-FL) for the Republican nomination, but later spearheaded a campaign to deny Trump the nomination even after Rubio dropped out of the race. While supporting Republican establishment favorites such as Rubio and 2012 presidential candidate Mitt Romney, Singer was a major backer of Common Core and was the founder of a super-PAC that has the express purpose of turning the GOP pro-gay marriage. The Examiner reports that the Free Beacon was originally part of the 501(c)(4) tax-exempt organization — the Center for American Freedom — but in 2014 became a for-profit organization. The Center’s original board of directors includes William Kristol, a prominent “Never Trump” activist. Kristol is also the founder of the Weekly Standard, which like the Free Beacon has a neoconservative foreign policy outlook. The Free Beacon was co-founded by two former Weekly Standard writers, chairman Michael Goldfarb and editor-in-chief Matthew Continetti. Breitbart News’s Matthew Boyle contributed to this report.